I know them, these hills. In the foothills of the Green Mountains, a child grows up in an abandoned village, haunted by memories of his absent parents. In a wayside tavern, a murderous innkeeper raises a young girl among the ghosts of his past victims. Elsewhere the village of Whistler’s Gore is swept up in the tumult of religious fervor, while in rural Falmouth, the souls of the buried dead fall prey to a fungal infestation. This is New England as it was once envisioned by Hawthorne and Lovecraft, a twilit country of wild hills and barren farmland where madness and repression abound. 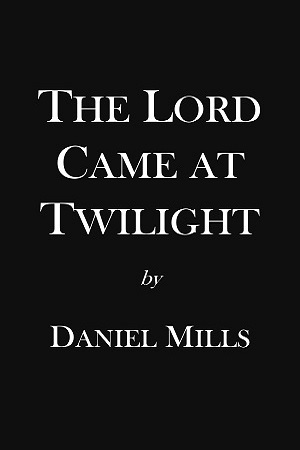 The Lord Came at Twilight presents 14 stories of doubt and despair, haunter and haunted, the deranged and the devout. “[Mills] returns with a collection of graceful hauntings that bring the full range of his eerie and deeply unsettling literary powers to bear. You, lucky reader are about to be taken on a journey with a true Lord of Twilight... I envy you." “The stories of Daniel Mills are old school in the best sense of the phrase – namely, they are atmospheric, nuanced and filled with a lurking fear that is rarely seen in modern horror fiction. The shadows of literary giants such as Nathaniel Hawthorne and H.P. Lovecraft are very much alive in the author’s clear sense of the haunting past and the beguilingly beautiful landscape of New England."